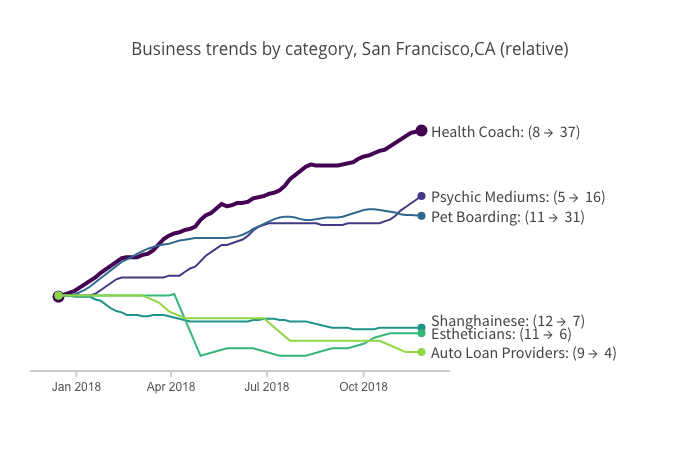 So Hoodline analyzed data from San Francisco business pages on Yelp to see which business categories are gaining ground in the past month, which are on the decline, and what areas of the city may be seeing changes in the local business landscape. For comparison, the total number of retail and service businesses grew 0.7 percent citywide in the same time period, while total dining options in the city grew 1.8 percent, again based on the rate of business pages created vs. pages marked as "closed" on Yelp. 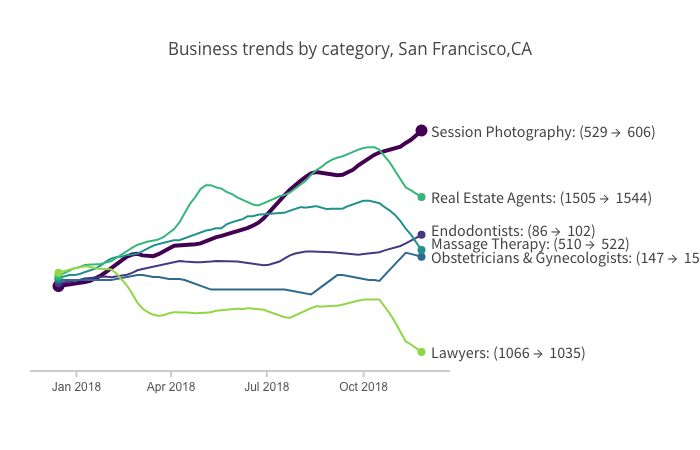 New business pages also show an upward trend for endodontists and obstetricians and gynecologists, based on a month-over-month analysis of Yelp data. With three new business pages appearing in Parkside over the past month--tops among the city's neighborhoods--the area was a hotbed of session photography activity (relatively speaking, of course). That's not surprising, considering Parkside was already home to a core of the city's session photography businesses, according to Yelp data. 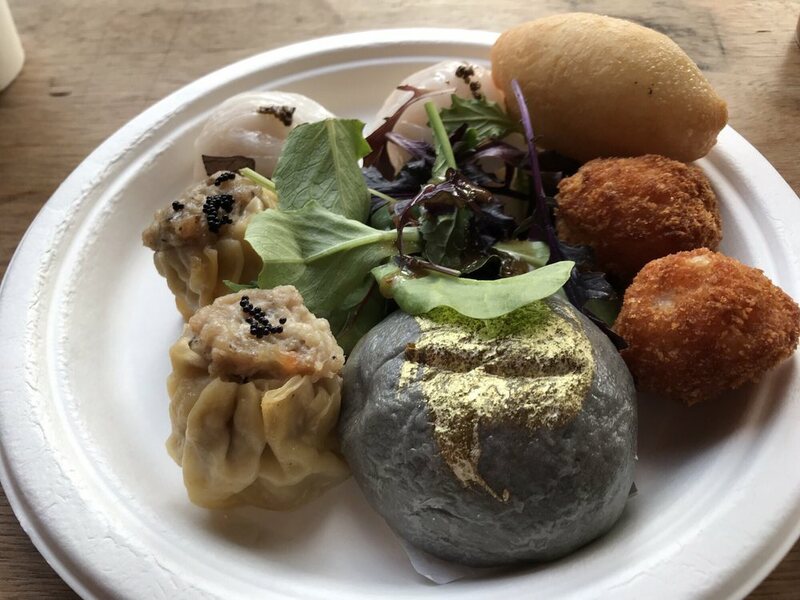 When it comes to food and drink establishments, the name of the game is Asian fusion, which this month saw four new business pages created--the most for any food and drink category--for a total of 152 in the city. Pushcart Fare in the Mission is one of them. You may also have more options for cafes and breakfast and brunch than you did a month ago, by Yelp's latest count. Some business categories grew greatly in percentage terms. For instance, Honduran restaurants rose 100 percent in the past month. But that's due to the addition of just one business page, bringing the total to two. Organic stores saw more notable growth, adding four business pages for a 25 percent increase. 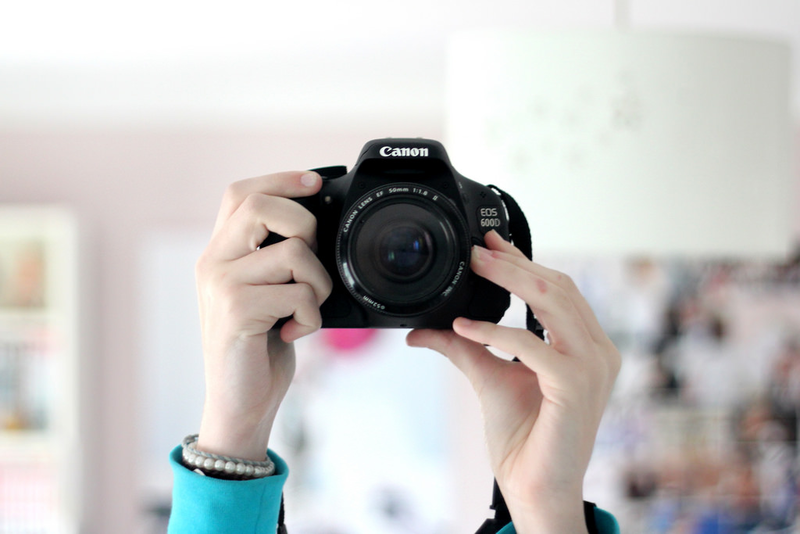 The greater number of initial businesses means the percentage growth is likely more reliable. Business closures happen. But just which types of businesses saw net declines over the past month, based on Yelp data? Pages for lawyers fell the most in San Francisco, with five businesses marked as "closed" on Yelp, including David J Foran. Pages for real estate agents also fell in total numbers last month. On the gastronomic side of things, New American cuisine may be losing ground as well. Just as some neighborhoods are more residential while others have a commercial concentration, business openings and closings do not happen evenly across the city. We calculated the net change in new Yelp pages vs. deleted or marked "closed" to get a handle on which San Francisco neighborhoods saw the largest relative gains and losses in commercial establishments of all types. In the past month, Downtown/Union Square saw the city's largest net loss of businesses, according to Yelp page counts. Total business pages for the neighborhood fell by 32 overall. Meanwhile, the Mission led the city's neighborhoods, with a net gain of 24 businesses.